Home / Media Coverage / Looking win some sand-free goodness? Looking win some sand-free goodness? 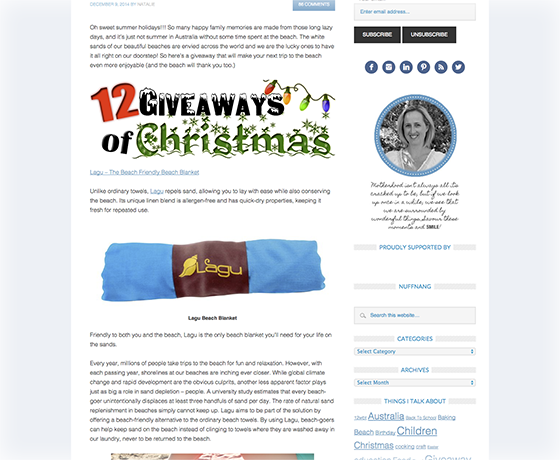 Mummysmiles.com is spreading the Christmas cheer by having a few gift giveaways for the holidays. This week on the cards, your very own Lagu Sand-Repellent Beach Blanket!